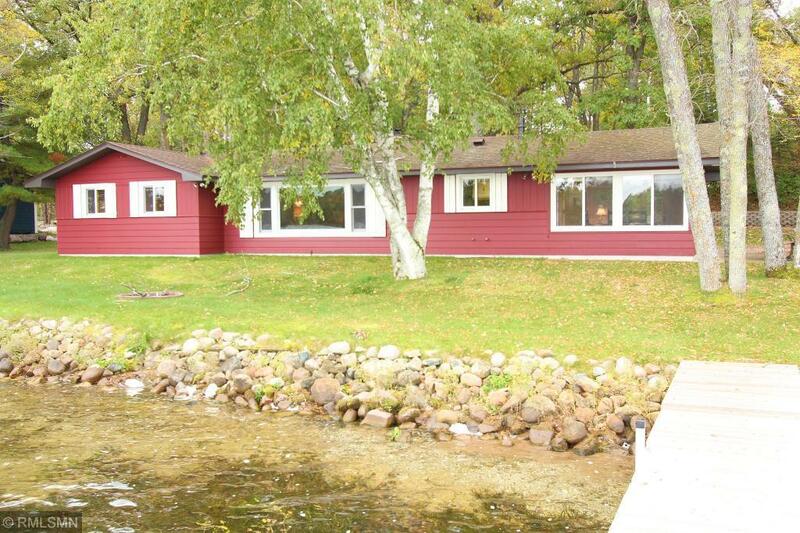 Make this three bedroom one bath Ossawinnamakee Lake home your retreat from the modern world. It has a fabulous wooded lot that boasts 159 feet of sand frontage, level elevation, mature trees and a connection to lake the moment you get out of your car. Cabin has that Up-North feel you have been looking for, knotty pine accents throughout, floor to ceiling wood burning fireplace, one level living and stunning lake views. Upgrades to the home where completed to the entry porch, main floor bathroom, living room and the dock. Explore boating, fishing, swimming, kayaking and all the other lake activities that the Ossawinnamakee Chain has to offer. You will love being minutes from shopping, fine dining, premiere golf courses and all the other amenities that Crosslake, Breezy Point and Pequot Lakes have to offer.